Christo Christov is a special pedagogy teacher for children and pupils with mental retardation. He has also a specialization in defectology and an additional professional qualification in psychology. 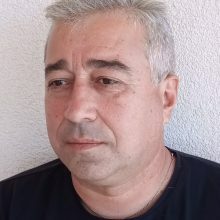 He was the director of the Resource center for integrative training and education of children and pupils with special educational needs in Targovishte for nine years. Since 2016 until now, he has been the director of the Regional center for support of the inclusive education process, in Targovishte region, Bulgaria. From 2004 to 2018 he has participated in more than 100 trainings including “Training of experts from RIE on organising and controlling the process of integration of children with mental disabilities”, “School management”, “Project preparation and management”, “Management in education”, “Director’s communication skills as educational manager “, “Assistive techniques for children and students with special educational needs “, “Training for managers in the child and youth care system in Central and Eastern Europe”, “Management of the organization”, ” Strategic planning and project management “, “Development of programs for integration of students with SEN “, “Biofeedback neuro-training, vestibular biofeedback”, “Sensory integration and therapy”, “Kinesiology for children”, “Relational psychomotorics”, Developmental Profile 3 / Rating scale for child development assessment / Rating scale for Child Autism CARS2, ADHD Conners-3 Rating Scale, Weksleemr IV Child Scale for WISC-IV Children, 3 Training Modules for Working with Tobii Dynavox eye-gaze control system with Communicator 5.